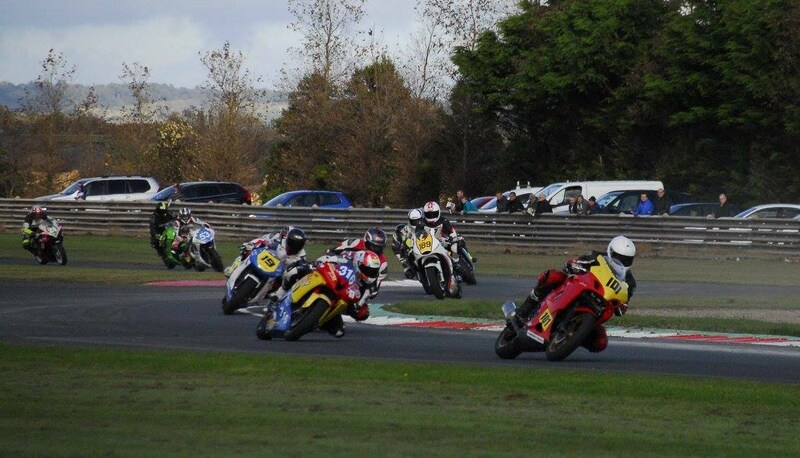 Bishopscourt, N. Ireland, October 21-22. Decided to finish the season by returning to the Sunflower Trophy races. Thanks to Billy McKinstry Racing for sorting us out with a bike for the Supertwin class. 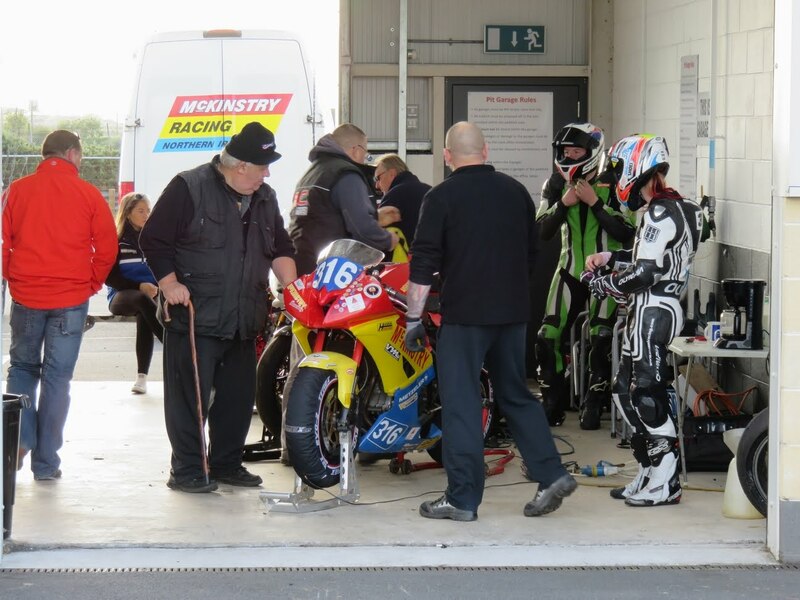 We did a track day at Kirkistown on the Wednesday prior to try the bike. It was great fun especially as it stayed dry.Enjoyed the bike as it was similar hp to the EJC 650 but lighter and handled a little better. No free practice at Bishopscourt. Straight into Qualifying 1 and 2 for (twelve minute sessions). Not ideal as Stacey didn't remember the track from her last visit (meeting was abandoned in 2013) but managed to qualify in 24th. The track was very damp for race day morning warm up so no opportunity to improve there. Finished 22nd in race one with a broken rear brake caliper. Had to switch to Jamie's bike (he decided to sit it out due to injuries from an earlier crash) for race two as Stacey's bike could not be repaired at the track. The bikes were not the same so it was not possible to swap the needed parts (different swing arms, no slipper clutch, different suspension). Stacey just ran Jamie's suspension settings so race two did not work out great and she finished 24th. Thanks to: Billy McKinsrty, Andrew McMullan, Nigel, Jamie Williams, Derek Mcwhirtwer and Baylon McCaughey.